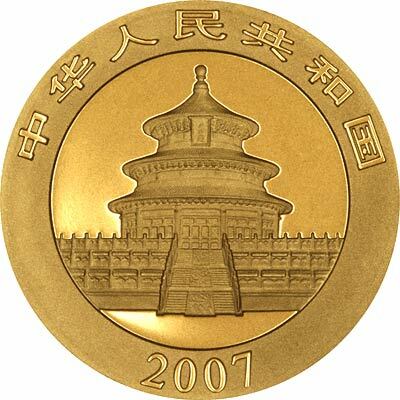 In addition to gold pandas as purely bullion coins, China also issues them in complete proof sets containing all five sizes, one ounce, half ounce, quarter ounce, tenth ounce, and twentieth ounce. We only get proof panda sets into stock very occasionally. 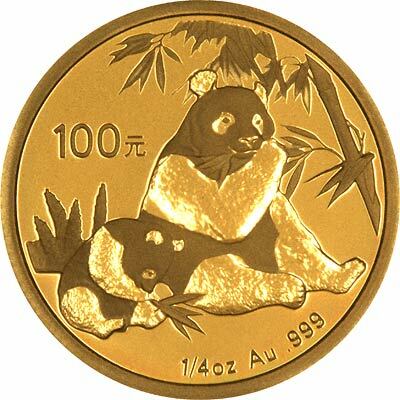 Most gold proof panda sets are packaged in a wooden box with Chinese lacquerwork, and this in turn is inside a cardboard box. 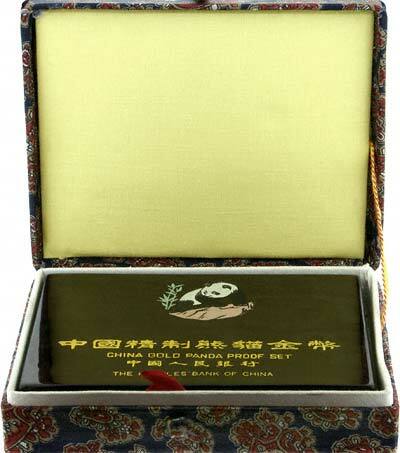 The box colour varies from year to year, and in some years the cardboard box is silk covered. 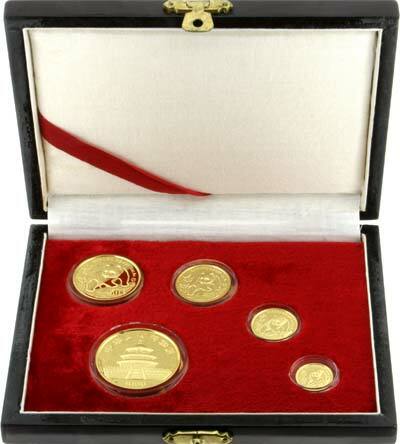 Each set is complete with a certificate, but in some years the certificate is in Chinese only.